Use your library for longer! 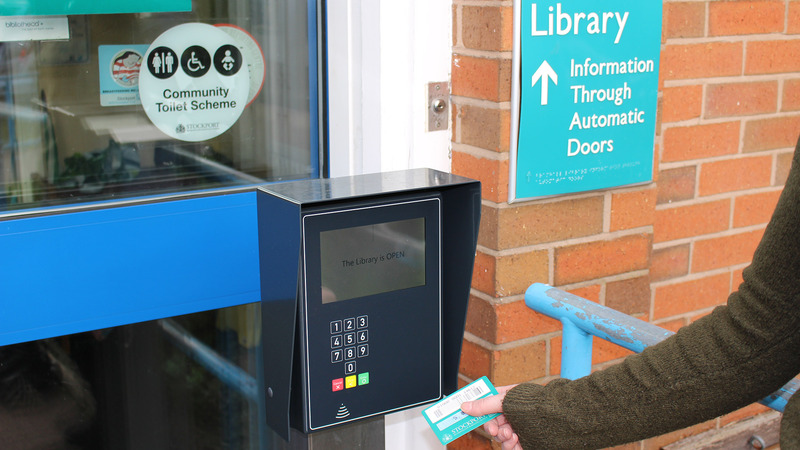 Six Stockport libraries now have Open+ technology so you can use them outside staffed hours. We have introduced new ‘Open+’ self-service technology to some of our libraries, which allows you to use the library for extra hours each week, outside staffed hours. Following a successful pilot at Bramhall Library this new access has also been installed at the Heatons, Hazel Grove, High Lane, Cheadle Hulme and Marple libraries. Customers simply scan their card at the terminal, enter their PIN and access the library. Whilst in the library you can borrow books, return books, pick up reservations and use the public PCs or the Wi-Fi on your own device. Face to face information, advice and guidance, and photocopying/printing services are available during our staffed hours. To use Open+, customers need to sign-up with a member of staff and provide proof of identity (for example, driving licence, birth certificate or passport) as well as a proof of address (for example council tax bill, utility bill or bank statement). You must be 16 years old to use the library in Open+ mode. Under 16s can use the library when accompanied by an adult or during staffed hours. A full list of Library Opening Hours is available on our website.